This chapter adopts a critical developmental approach to understanding how transgender children come to inhabit their gender. 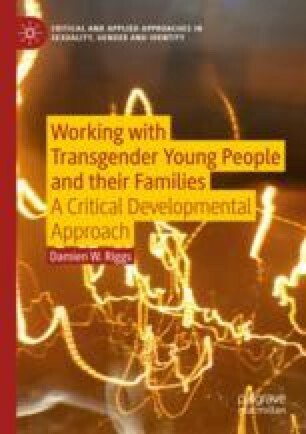 Specifically, the chapter examines the cisgenderism inherent in much of the developmental literature on gender, and proposes an alternate account of gender development that is inclusive of transgender children. The chapter also explores the limitations of existing diagnostic tools for working with transgender children, and presents one case study focused on a transgender child.